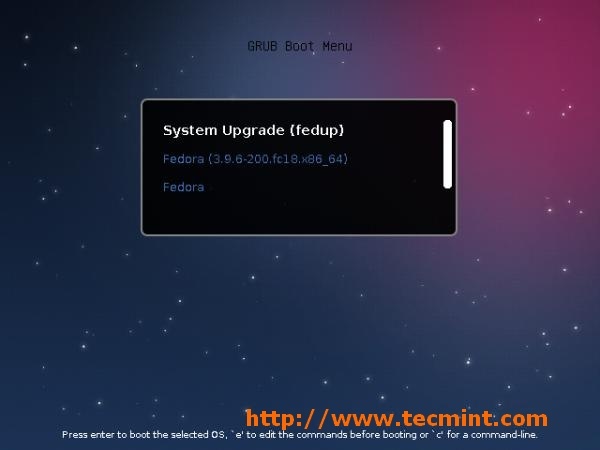 This post guide us simple steps to upgrade from Fedora Linux 18 to Fedora Linux 19 with the help of Fedora Updater (FedUp). FedUp tool is made available since Fedora 18 and it is the only recommended way to upgrade your system. Make sure FedUp package is installed on system before heading up for up-gradation. We have tested in our test lab which has been upgrade without any hiccups. The commands in this guide have been executed with super user so make sure you have enough privileges to execute the same. We will not be responsible for any loss or damage of data during up-gradation. Warning : Please take important data backup to an external hard drive, usb device or to any another machine before proceeding. If any unworkable error occurs during upgrade process, that might requires a fresh install, you don’t want to lose any important data. 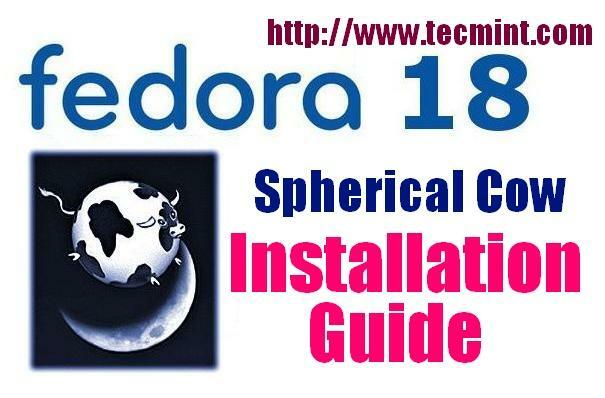 If you’re looking for a fresh installation of Fedora 19 (‘Schrödinger’s Cat’), then follow the below link that shows a regular set of instructions on how to install a Fedora operating system. 1. Right click on desktop area and click ‘Open in Terminal’ Or you may open through Menu >> Applications >> Accessories >> Terminal. 2. Please install FedUp package if it is not installed by default. 3. Before following upgrade procedure, please be sure to have the system updated with below command. This may take several minutes. 5. Start upgrading with FedUp. With “–reboot” option will reboot the system automatically once completed. 6. GRUB BOOT MENU with FedUP. 7. Upgrading Fedora 18 to Fedora 19 and follow on screen. Up-gradation process may take longer time so be patient. 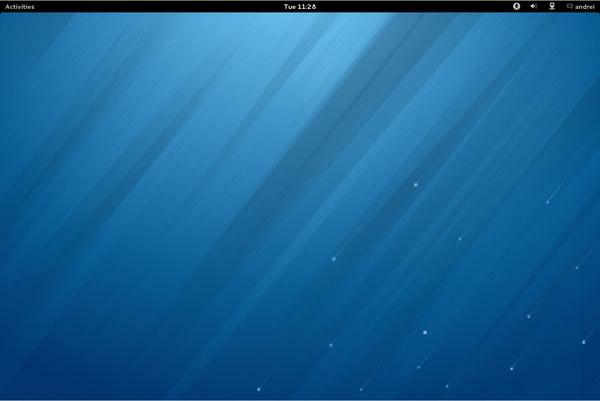 Your system is ready with new Fedora 19. Previous story Is Linux Operating System Virus Free? To work it only need Java JRE installed (Oracle or OpenJDK) and Xterm (rpm is not avaible at this moment, lack of knowledge how to build it, so depends must be installed manually).